Lutheran Home and Harwood Place, in business for more than 110 years, have excellent reputations for compassionate care of older adults and their families. 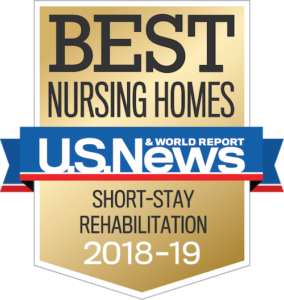 We provide a wide variety of services on two campuses including independent living, assisted living, short-term rehabilitation, memory care assisted living, skilled nursing, adult day services ,and child care. One of the largest employers in the Wauwatosa area, we offer our employees career advancement opportunities, competitive benefits, beautiful work environments, and an unbeatable group of co-workers. Lutheran Home and Harwood Place campuses each have easy access for employees because we are centrally located in Wauwatosa, minutes from the expressway. Don’t want to apply online? Use our job application and mail, drop-off or email to jobs@thelutheranhome.org. We invite you to complete a job application. Please note: When submitting pdf employment forms, save the form on your computer and email as an attachment to jobs@thelutheranhome.org. Applicants may also pick up an application, complete, and return or mail to the Lutheran Home campus. Lutheran Home 7500 W. North Avenue Wauwatosa, WI 53213 Attention: Human Resources See our jobs on milwaukeejobs.com. Check us out on Facebook!